I’m a big fan of Mossberg shotguns. I’ve owned several over the last twenty years except for a brief stint with the Remington 870’s. I’ve apologized for my cheating ways and now I’m back in the loving embrace of a Mossberg. 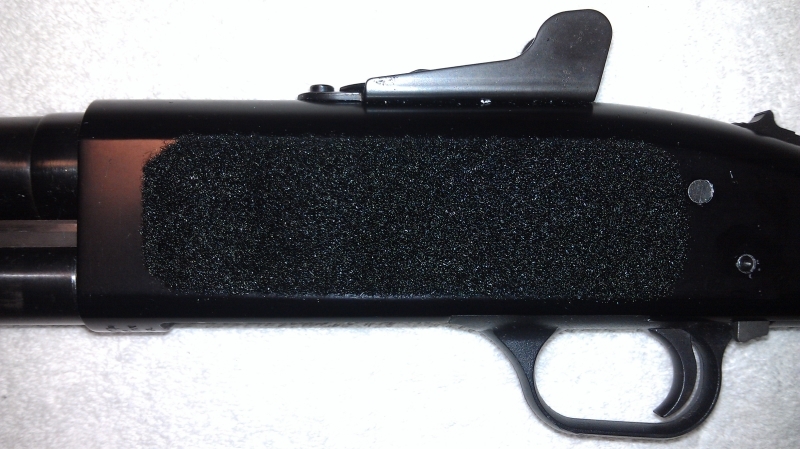 I added a Velcro HSGI shotshell tray to a used Mossberg 590 that I picked up recently. Here are some notes and pictures to get you on your way to duplicating this project. Step 1: I prepped the side of the shotgun by wiping it down with Isopropyl alcohol several times and then let it dry. Step 2: Using the ruler and utility knife I cut the Velcro a little longer than the shot shell carrier and a little shorter then the height of the side of the receiver. The size of the Velcro strip was 5 .25 inches wide and 1.5 inches high. I used scissors to round the corners so they would not curl up. Step 3: Carefully I placed the Velcro just in front of the trigger group pins so I could have access to them when field stripping and also allow the serial number to be seen. The adhesive is very tacky so and it won’t come up once you put it down on the gun. Step 4: I stacked several books on top of the newly laid piece of Velcro and let it sit for 24 hours until it cured. Step 5: Once the adhesive cured I put the shot shell carrier on the shotgun and gave it a test run by pulling it off and putting it on several times. I have a shotgun class coming up shortly and I’ll give it a thorough breaking in then. 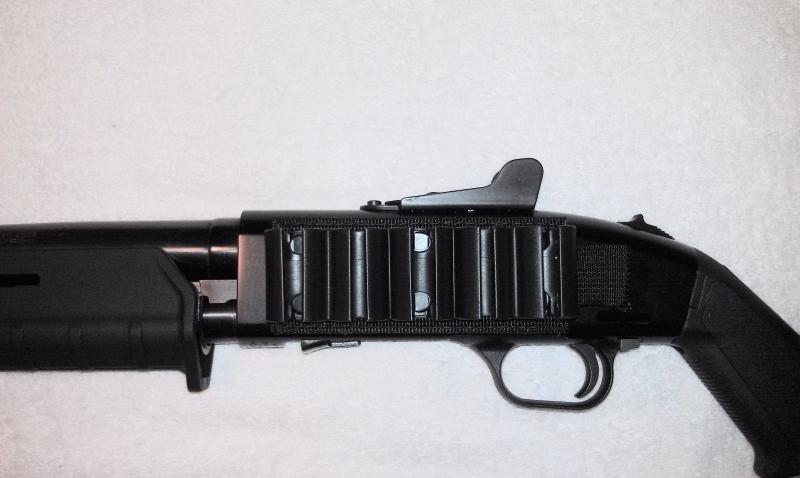 This entry was posted in DIY Projects, Firearms and tagged HSGI Side Saddle, Mossberg 500, Mossberg 500 Side Saddle, Mossberg 590, Mossberg 590 Side Saddle, Remington 870, Remington 870 Side Saddle, Shotshell Tray, Side Saddle How To, Velcro Side Saddle on May 5, 2014 by GunGuy.